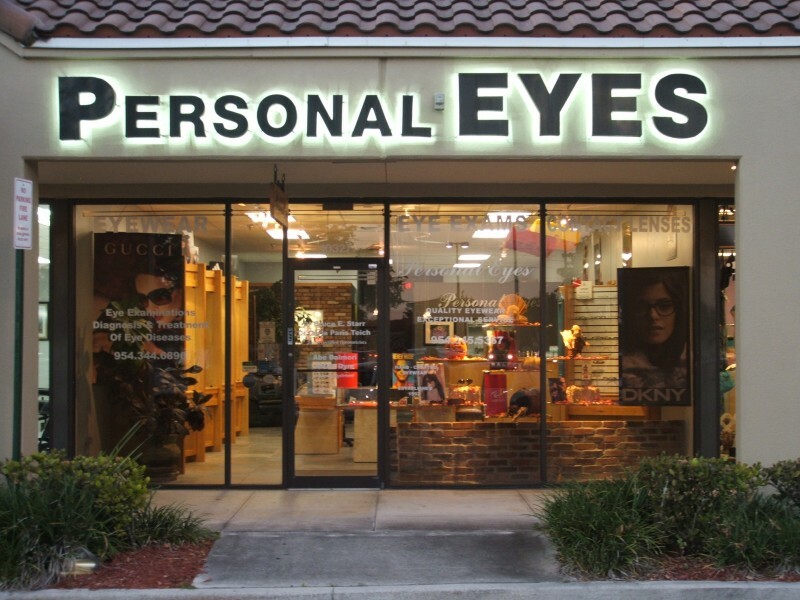 At Personal Eyes, we have been providing quality eye care to the community for more than twenty years. Established in 1992, we are friendly, professional, and make it our goal to partner with you in maintaining your visual health. We combine cutting-edge technology in a calm, patient-focused atmosphere. Our optometrist is board-certified, performing routine eye exams and advanced testing. Our opticians are licensed and detail oriented. We provide value by consistently delivering high quality eye wear at reasonable prices. We serve Coral Springs, Margate, Parkland, North Lauderdale, Coconut Creek, Pompano Beach, and all of North Broward.